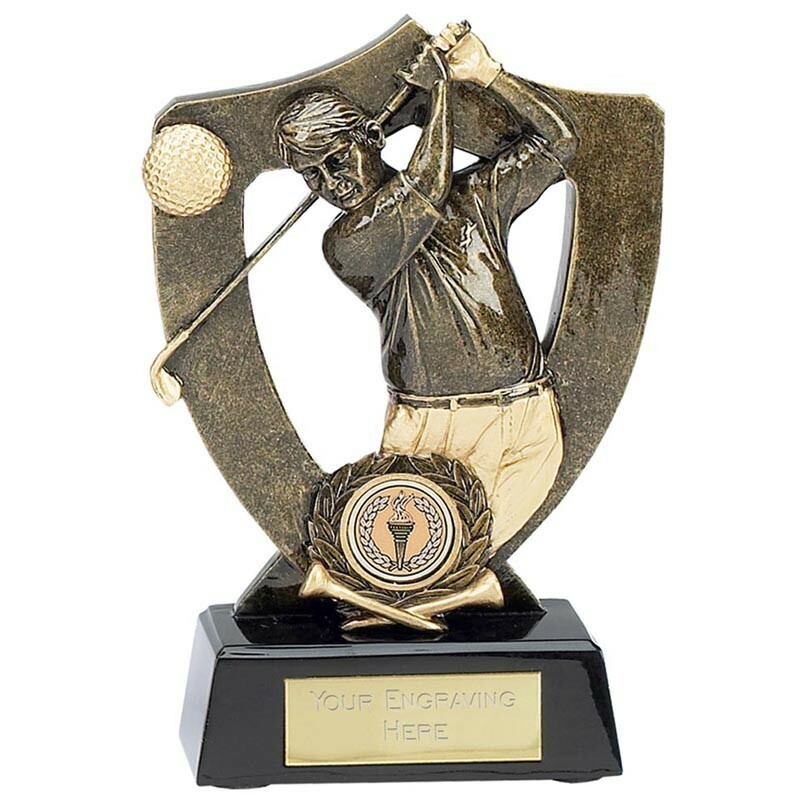 Bronze resin golf trophy featuring a golfer in action and a golf ball on a shield. 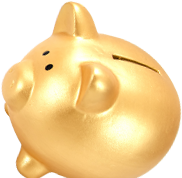 Includes FREE engraving. Available in 14cm and 17.5cm. Perfect for any golf event.